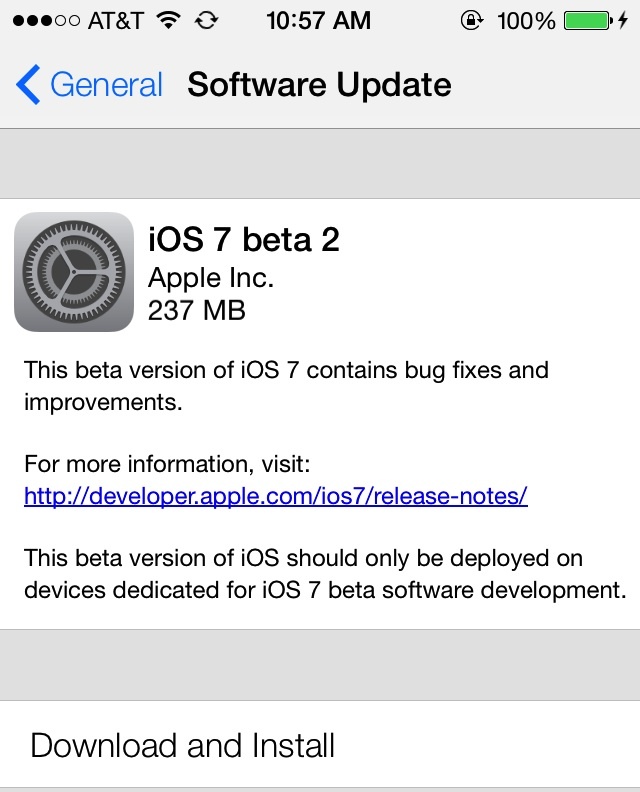 That certainly is quick of apple to release iOS 7 beta update 2 to developers, just weeks after WWDC 2013 and the release of the first iOS 7 beta, Apple updates the OS with bug fixes, improvements as well as support for iPad. If you’re an Apple developer, I’m sure you would’ve already gotten your update and you’re happily testing away the latest iOS 7 update but if you’re not and you don’t intend installing a buggy software onto your iOS device, the update comes with new Siri voice option (male) and a brand new Voice Memos app that appears in the home screen on iOS 7. Voice Memos, as its name suggest, is an app that allows you to record voice memos. Like most recording app, just tap the big red button to start recording, the sounds recorded are indicated using a wavelength chart. Voice clips in the Voice Memos app are editable and users can send them via message, mail, AirDrop or on to iCloud. I hope the improvements and bug fixes makes iOS 7 a whole lot more stable, I have lost count of the number of times my iPhone hung on me just by running simple default apps – camera and phone.